Gladiator is a blockbuster film set in 180 AD, and follows the glory, betrayal, and vengeance of Spanish Roman general turned gladiator Maximus Decimus Meridius (Russell Crowe). Gladiator, directed by Ridley Scott and written by David Franzoni, is a 2000 DreamWorks and Universal Pictures movie set in 180 AD, with a storyline following the glory, betrayal, and vengeance of Spanish Roman general turned gladiator Maximus Decimus Meridius (Russell Crowe). The movie begins with Maximus who, under the reign of “philosopher king” emperor Marcus Aurelius (Richard Harris), successfully battles the Germanic tribes in Gaul and wins the continued respect of his legionaries. Recognizing his promise as a leader, Marcus Aurelius privately asks Maximus to replace his son Commodus (Joaquin Phoenix), who is unfit to rule, as his successor. Commodus, however, kills Marcus Aurelius and orders the death of Maximus before Maximus can accept the honor. Maximus escapes his death, frantically rides to his home in Spain only to find that his wife and son had been crucified and burned, after which Maximus is captured and sold into slavery. After being nursed back to health by his new companion Juba (Djimon Hounsou), Maximus becomes a gladiator in the Roman province of Zucchabar (present-day Algeria) and, under the mentorship of his trainer Proximo (Oliver Reed), eventually fights his way to the Roman Coliseum where he “wins the crowd.” The realization of Maximus’ survival ultimately prompts his former lover, and sister of Commodus, Lucilla (Connie Nielsen), to assist him in usurping Commodus and coordinate a transfer of power with members of the Senate. The plot is foiled but the movie ends with a mortally wounded Maximus killing Commodus in a gladiatorial battle and restoring power to the Senate before dying. Through this compelling narrative, writer Franzoni manages to intertwine captivating action scenes with a balanced and realistic take on the gender roles of aristocratic women of Roman society. In addition to the central role of Crowe’s well-developed character, Franzoni provides the influential Lucilla with a level of clout that is consistent with what an educated and motivated aristocratic Roman woman could have wielded. Connie Nielsen’s Lucilla, like Marcus Aurelius and Commodus, is largely inspired by the historical figure. In fact, much like how Gladiator’s Lucilla conspired with Maximus to usurp Commodus, the real Lucilla allegedly conspired to kill and overthrow him as well (Commodus: Roman Emperor, Britannica). Throughout the film, Lucilla maintains an unofficial position of power in the Senate, influences the emperor, is portrayed as intellectually on par with the other prominent characters, and even addresses the people of Rome in the Coliseum during the final scene. Specifically, one instance that stands out is during Commodus’ first days as emperor when he dismisses his responsibility to address city issues during a Senate meeting and Lucilla rises to the occasion promising to bring all issues to the attention of Commodus at another time. This prompts Senate leader Gracchus (Derek Jacobi) to respond, “My lady, as always your lightest touch commands obedience.” Interestingly, this illuminates a recurring theme throughout Roman history where “[t]he women of the court, regardless of how sophisticated and complex they might have been, always are praised in terms of conservative domestic behavior” (Fantham et al., 359). In this sense, despite Lucilla clearly showing decisiveness and pragmatism, she is praised in terms of her “lightest touch” and her ability to rein in her brother, placing her in the role of pseudo-mother and wife. There is a persistent dynamic throughout the film in which Lucilla demonstrates considerable political savvy, but she is also constrained by her womanhood from exercising real political power. Because of her abilities Lucilla was most fit to be emperor, a sentiment clearly echoed early in the film when Marcus Aurelius approaches Lucilla and says, “If only you had been born a man, what a Caesar you would have made.” This leaves the audience with a looming sense of “what if?” for the remainder of the plot, and that “what if?” is at least partially addressed in the final scene when she carries on Marcus Aurelius’ wishes of making Rome a Republic and orders the freedom of Maximus’ comrades. Although the level of influence Lucilla had in this scene was inconsistent with women’s status at the time, other aspects of Lucilla’s influence are more historical plausible. 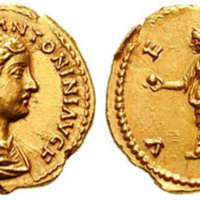 Similar to other aristocratic Roman women of the past such as Titus’ daughter Julia Titi or Vilellius’ wife Galeria, Lucilla had a presence in the consul and was one of the leaders in the plot to overthrow the emperor, though Commodus frequently physically and sexually intimidates her (Fantham et al., 352-355). 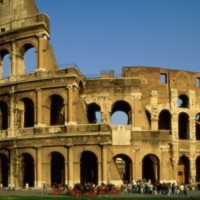 At one point she even exclaims, “I’m tired of being strong!” In essence, from a purely historical perspective, the influence Lucilla did have in Gladiatorwould have been unlikely, but certainly would not have been unprecedented. 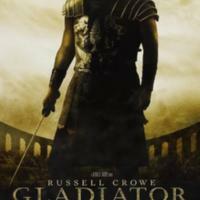 Overall, Gladiator is an entertaining film that largely captures the historical setting of its period. It reflects the historical Commodus as being an unstable emperor with poor judgment, who had strange sexual fantasies, and an obsession with gladiatorial games (Commodus: Roman Emperor, Britannica; Starr, 48). While it is unlikely a Spaniard would have been a general during the time of Marcus Aurelius, it certainly plausible that generals like Maximus and other soldiers could have had political clout (Starr, 69, 98, 113). Although not perfect from the perspective of an historian, the plot, in Commodus’ words, consisting of “the general, who became a slave, the slave who became a gladiator, the gladiator who defied an emperor” struck a chord that won over American and worldwide audiences. Fantham, Elaine, Helene Peet Foley, Natalie Boymel Kampen, Sarah B. Pomeroy, and H. A. Shapiro. Women in the Classical World. New York: Oxford University Press, 1994. Dodds, E.R., Pagan and Christian in an Age of Anxiety: Some Aspects of Religious Experience from Marcus Aurelius to Constantine. Cambridge, UK: Cambridge University Press, 1965. Starr, Chester G., The Roman Empire: A Study in Survival. New York: Oxford University Press, 1982.